A domain name is like a virtual identification card. It’s a way for people to verify your online presence. Many mistakenly believe having a bad domain name is better than not having one at all, which is incorrect. 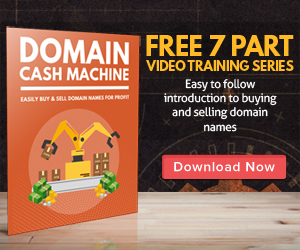 Now that you understand the importance of a domain name, it’s time to make a list of potential domain names for your website. You don’t just have to use your company name. In fact, it might be better not to if your company name is long or difficult to spell. One company had a difficult name to remember so it launched a website for its most popular product and found that customers were able to remember that domain name. This resulted in better customer conversions and higher search engine rankings since more customers were searching for the product than the company. Once you’ve come up with a list of potential domain names, go through and cross out anything that’s too long. Try to stay under twenty characters so your domain name is easy to remember.